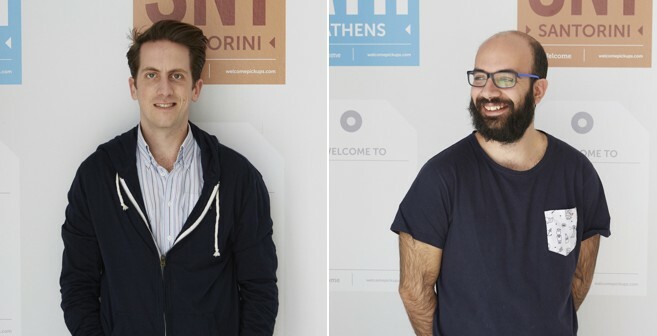 Welcome Pickups , an Athens- based tourism innovation business that focuses its services on creating a comprehensive travel experience for the traveler, announced an investment of 1.65 million euros from VentureFriends , Openfund and Melih Odemis . Funding will be used to extend service offerings, strengthen the base team and increase the Welcome network from 11 cities today to 40 by the end of 2018. Founded in 2015 in Athens, Welcome surpassed the usual transport services as the first company to offer a comprehensive travel experience. From the moment a traveler arrives in a new destination until his return, Welcome takes on all travel needs (transport, travel products, touristic suggestions, information, mobile communication) in the most interpersonal, friendly and easy way. Welcome, besides products that focus on the traveler, offers productivity tools for hoteliers and BnB apartment owners . Welcome to Hotels helps hotels minimize workload, simplify procedures, and better understand the customer base. Welcome for BnBs bridges the thorny piece of communication between hosts and travelers – coordinating arrival and check-in. Welcome plans to cover 6 new destinations in 4 countries by the end of 2017 and serve more than 1 million travelers in 2018.